Ek Ladki Ko Dekha Toh Aisa Laga; HIT or FLOP? After accurate opening day box office collection predictions of Manikarnika and Thackeray, we are back with another box office prediction analysis: prediction of this Friday release, Ek Ladki Ko Dekha Toh Aisa Laga. 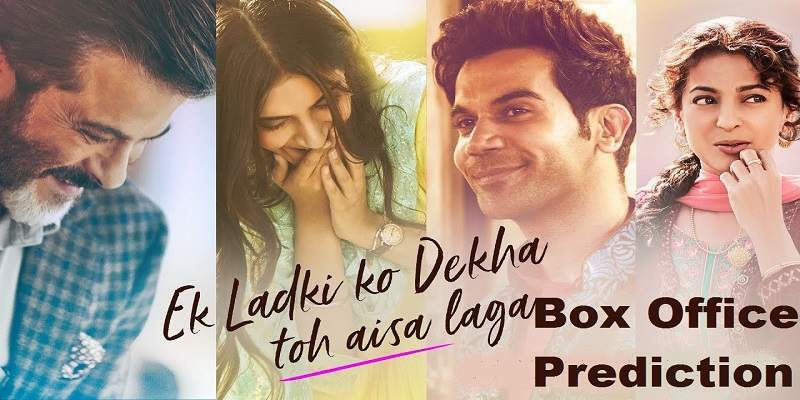 Ek Ladki Ko Dekha Toh Aisa Laga is releasing this Friday, and features Rajkummar Rao, Sonam Kapoor, Anil Kapoor and Juhi Chawla in the lead roles. The film is directed by first time director, Shelly Chopra Dhar. The film is getting pretty much a solo release this weekend, as the 10 year old film featuring Farhan Akhtar, 'The Fakir of Venice', will be quite an insignificant release at the box office, and also 'Amavas' is once again postponed. 'Ek Ladki Ko Dekha Toh Aisa Laga' has considerable star power to take a decent opening at the box office, for the kind of film it is. The film's lead pair, Rajkummar Rao and Sonam Kapoor, are coming after the commercial successes of their respective films at the box office. Rajkummar Rao's Stree took the box office by surprise by doing amazing business. Similarly, Sonam Kapoor's 'Veere Di Wedding' also was a surprise hit at the box office. Can they together give another box office hit this time, in form of ELKDTAL? Let's analyse. Rajkummar Rao has increased his star value post 'Stree', but he is not quite there yet, to give a film a good opening single-handedly. His presence may have increased the awareness about the film, but will be of little help at the box office. Similarly, Sonam Kapoor also brings little to the table when it comes to box office performance. Apart from Raanjhanaa (2013) and Neerja (2016), most of her films have struggled at the box office. Her film, 'Veeray Di Wedding', rode on the wave of controversy surrounding the film and its actors. The film also had a controversial self-gratification scene, and had a slight sexual slant. It also featured Kareena Kapoor. And, 'Prem Ratan Dhan Payo' had Salman Khan in the lead. Ek Ladki Ko Dekha Toh Aisa Laga is a content oriented film, and will be completely dependent on itself to perform at the box office. The contribution of the single screens to the box office collections will be meagre, because of its genre, and also as the film lacks the masala elements and dance numbers that usually attract the single screen audience. The movie also lacks a big star, to give the film a spearheaded start. But, the solo release will help the film at the box office to take a decent-good opening, and might continue to do good business after the first day and in the weekdays, if the film manages to impress with its content, and gets good word-of-mouth. 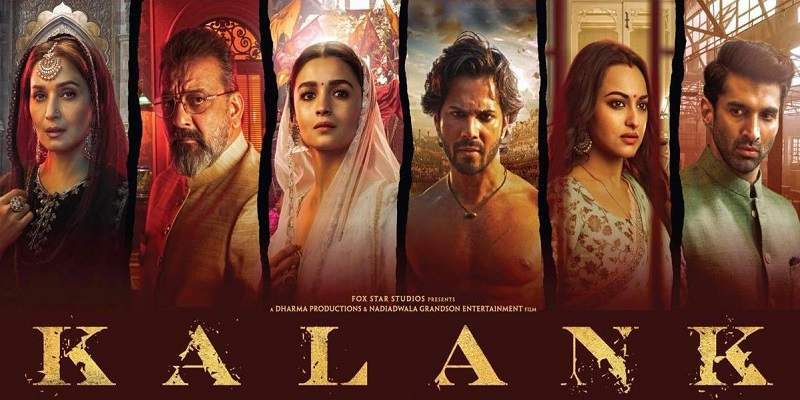 Last week's releases, Manikarnika and Thackeray are taking rapid descent at the box office, and ELKDTAL may end up being a good alternative option for the moviegoers. But, the fact to keep in mind is that all three movies belong to different genre, and target different sections of the audience. The overlap is quite small, and hence the influence on each other's business at the box office will be low. If ELKDTAL turns out to be good, it can do good business at the box office, as it gets a two weeks free run till Ranveer Singh and Alia Bhat starrer 'Gully Boy' hits the screens on February 14. One should note, that Stree was a hit because of the content, and not 'star-power'. Also, half of Stree's collections came from the single screens. Here in the case of ELKDTAL, the single screens will be quite out of the picture. ELKDTAL is a multiplex movie. Even there, the movie may struggle initially at the multiplexes in the Tier 2 cities. And might pick up, post good word-of-mouth and positive critical response. Couples and the college going young audience will be primary targets of the film. And, it may bring the family audience to the cinema halls in the subsequent days. The title song of the film has got a positive response, but apart from that, the pre-release buzz is pretty subdued. But our data analysis tells us that the film is seeing a steady upswing in the buzz, as the release approaches. Hence, we have increased the upper limit of our prediction from 3.5 crores to 4.5 crores. The film might collect around 2.5 to 4.5 crores at the box office on its first day. Ek Ladki Ko Dekha Toh Aisa Laga might be released in around 1300-1500 screens all across India. Total budget - An estimated ~30 crores.